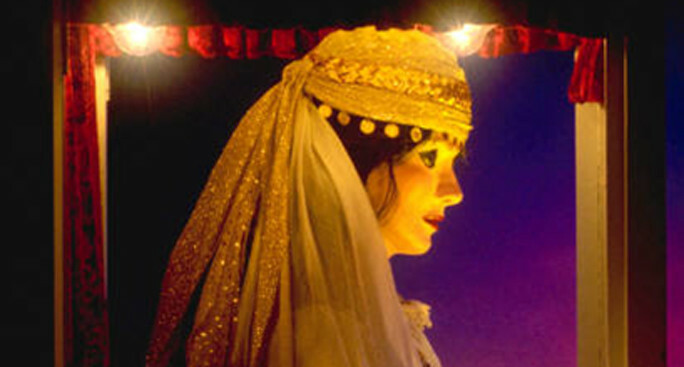 Legend holds that Gypsies are among the world’s great storytellers (especially fortune tellers). Gypsies are also often the subjects of stories told about them and their ways of life. In many cases such stories reflect stereotypes, some based in truth and others romanticized. Schumann’s title means “Gypsy Life.” The dramatic rise of urban middle-class life in nineteenth century Europe heightened the “romantic” appeal of the closeness to nature experienced by the nomadic Romani peoples. Both in its text and in its rhythms and sororities, Schumann’s piece may well be the quintessential musical statement of this Romantic stereotype of Gypsy life as wild, natural, nomadic, and sensual—the life of the “natural” Bohemian. (Indeed, the term “Bohemian” reflects the French name for Romani immigrants from Bohemia—today’s Czech Republic). Schumann’s text comes from Emmanuel Geibel (1815-1844), the German Romantic poet most responsible for popularizing the literary Gypsy theme. The energetic drive of this piece makes Gypsy life irresistibly appealing, at least for the magical Romantic moment. with whispering branches and leaves on the vine. while dancing with rainbows of every design. and tanned by the brilliance of Spain’s sunny glow. The warm blazing campfire is lighting the trees. and all fill their goblets to brighten the mood. her magical words fight off danger and fear. the dance grows wilder beneath gypsy stars. The fun (both in the hearing and in the singing) of this musical depiction of a Hungarian dance arises from the use of both musical sound and the written word to imitate the instruments imagined to be playing the lively dance tune: the tambur (a long-necked lute from Asia and Asia Minor, also referred to as the pandur or the tamburitza), the string bass, and the cimbalom (a hammered dulcimer, whose pronunciation—“tzimbalom”—is itself onomatopoetic). These are all stringed instruments, not only common to Gypsy bands but especially well-chosen by the singer in “Tambur,” who hopes to pluck the heartstrings of his fair young maiden to join him in the dance. Despite his lifelong passion for Gypsy music, Brahms’s first expression of this interest occurs relatively late in his life, at age 55, with the 1888 publication of the first set of these Zigeunerlieder. Brahms locates these song collections near the “Rimaflut”—now known as the Rimava River, in south central Slovakia. Brahms also directly invokes a Gypsy storyteller: the song often chosen to open the selection of these “Gypsy Songs” begins in the words given to Brahms by his librettist Hugo Conrat (who had adapted prose versions of Hungarian folk poems by a Fräulein Witzl): “He, Zigeuner . . . Ho there, Gypsy, strike each string and sing of [my] faithless maiden!” In this collection of songs, Brahms explores romantic love and the life close to nature from a rich variety of perspectives, producing some of the highlights of the entire German lieder tradition. The influence of Schumann’s lieder is evident in Brahms. Like his esteemed patron Schumann, Brahms sets his songs to piano accompaniment, not only because both Brahms and Schumann were pianists but, more importantly, because this instrument represented the “domestication” of music in the rise of middle-class life in the nineteenth century. Only in the twentieth century do the radio and the television become the focal point of family “living rooms.” In the nineteenth century, the piano was the main item of “furniture” in middle-class homes. Indeed, Brahms originally titled these “Gypsy Songs” as “Quartets,” reflecting his intent that the pieces be available for performance by a small group of family members or friends as home entertainment. even more brightly do your eyes beam at me. so that I bless you in my happiness. yet my darling sings a much sweeter song. yet your rosy lips kiss me even more warmly. herald the arrival of Spring. mean a maiden’s first love. fly off to the red rose! envious and hate-filled people surround me, in town and country. so long as my sweet darling remains true till death. carry forth my little message! fly off to my darling’s house! that is almost dying from the pain of separation. 1. Ho there, Gypsy! Strike resoundingly each string! And the song of false and faithless maiden sing! ‘Til the burning tears these cheeks so hot are steeping! aloud for thee, my dear! 3. Know ye, when my loved one is fairest of all this? If her sweet mouth rosy, jest and laugh and kiss. Maiden heart, mine thou art. Tenderly I kiss thee. Thee a loving heaven hath created just for me! Know ye, when my lover dearest is to me? When in his fond arms, he enfolds me lovingly. Dear sweetheart, mine thou art. Tenderly I kiss thee. That I gave my lover once a little kiss. Heart’s command I kiss him, how dismiss? And long as I live I’ll think of that first kiss. How in joy and pain on him my thoughts delight. My poor heart is his and ever, ever true. Led by him to dance is she. spins her, whirls her, shouts and springs! On the cymbal so it rings! What thou once with holy vow to me hast sworn? Then God’s smile shall crown thee graciously. And if they hate me, why do I care? Should kiss me, embrace me and hold me forever. No flower blooms for me in fragrant loveliness. That shine on me so kindly, that bloom for me alone. Irving Fine studied piano in pursuit of his bachelor’s and master’s degrees from Harvard University, also studying composition with Walter Piston. He was a member of a congenial group of influential twentieth century composers known as the “Boston Six,” whose most famous members included Leonard Bernstein, Aaron Copland, and Lukas Foss. They are waiting on the shingle – will you come and join the dance? “What matters it how far we go?” his scaly friend replied. Perhaps no poem from Alice in Wonderland captures the unique blend of adult humor with potential childlike terror better than this famous excerpt. mock-heroism into the adventures of this “beamish boy” who defeats the fearsome Jabberwock. All mimsy were the borogoves, and the mome raths outgrabe. “Beware the Jabberwock, my son! The jaws that bite, the claws that catch! “And has thou slain the Jabberwock? Come to my arms, my beamish boy! O frabjous day! Callooh! Callay!” he chortled in his joy. The famous children’s fiction character Christopher Robin is based on the like-named son of author A. A. Milne (1882-1956). Born in 1920, Christopher Robin Milne, like many upper- and upper-middle-class children of the time, was raised by a nanny, with whom he had more intimate daily contact than with his parents, except just after breakfast, at tea time, and at bedtime. Indeed, Christopher Robin Milne’s parents spent little time with each other, forcing their son into divided time even with his parents. An especially painful irony of son Christopher Robin Milne’s life is that his father’s poem “Christopher Robin Is Saying His Prayers” (alternately titled “Vespers”) was a special target for the mockery of Christopher’s schoolmates. In late Victorian/Edwardian context, however, the implicit sadness of this family context did not discourage public vision of A. A. Milne’s works through rose-colored lenses. Even though his recent biographers reveal that A. A. Milne felt trapped by his fame, this sentimental vision of the world of the fictional Christopher Robin remained the preferred stereotype, and is fully reflected by the lush yet tender choral treatment given by H. Fraser-Simson, who gained fame not only for his theater music but also for his numerous settings of poems from Milne’s children’s books, including his 1929 collection The Hums of Pooh. Droops on his little hands, little gold head. Hush, hush! whisper. Who dares? Wasn’t it fun in the bath tonight? The cold’s so cold and the hot’s so hot. Oh! God bless Daddy, I quite forgot. God bless Nanny and make her good. And nobody knows that I’m there at all. I said, `Bless Daddy’, so what could it be? Now I remember: God bless me”. This exuberant setting of the frontier “frolic tune” was composed in 1989 for the Brigham Young University Concert Choir by highly-regarded choral composer Mack Wilberg, named in March 2008 as the music director of the Mormon Tabernacle Choir. The “bustin’ at its seams” style of the piece is reflected in its sheer size: double SATB choirs and four-hand piano accompaniment, plus additional “percussion” and other appropriate effects. An’ every time my sweetheart passed she’d take a bite of me. I wish I had a pretty girl to love me all the time. I’d sew that gal to my coat tail and down the road I’d go. She’s so sweet the honeybees all swarm around her mouth. I’ll marry you some time. The first time I saw Cindy she was standing in the door. Her shoes and stockings in her hand, her feet all o’er the floor. She swore that I’ze the prettiest thing In shape of mortal man. She swore he was the purtiest thing that ever lived or died. She throwed her arms around him, he thought his time had come. She got so full of glory, she knocked the preacher down. If I can’t have my Cindy, I’ll have no girl at all. She walked right up to the preacher and chawed her chewin’ gum. When she heared my banjo, she’s the first one on the floor.